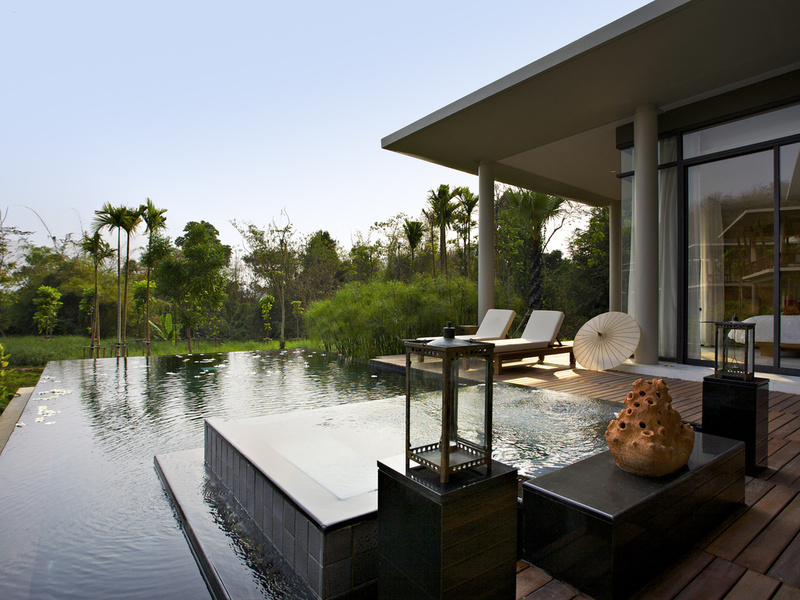 A peaceful haven in the heart of the mountains Chiang Mai is the second largest city in Thailand, after the cosmopolitan capital of Bangkok. Situated on the silk road, this resort hotel is located near numerous exceptional temples from the 18th century. ..
From Chiangmai International Airport to Si-Yek-Sanambin intersection drive 1 km. Then turn right at Si-Yek Sanambin intersection onto Chiangmai-Hangdong Road and drive straight for 7 km to Samung intersection. At Samung intersection turn right again and drive straight up to the mountain for 8 km. Veranda High Resort Chiang Mai is on the right hand side. 43 m² plus 15 m² balcony. Single or twin bed available, bathroom with separate shower and tub, day bed and balcony or terrace. 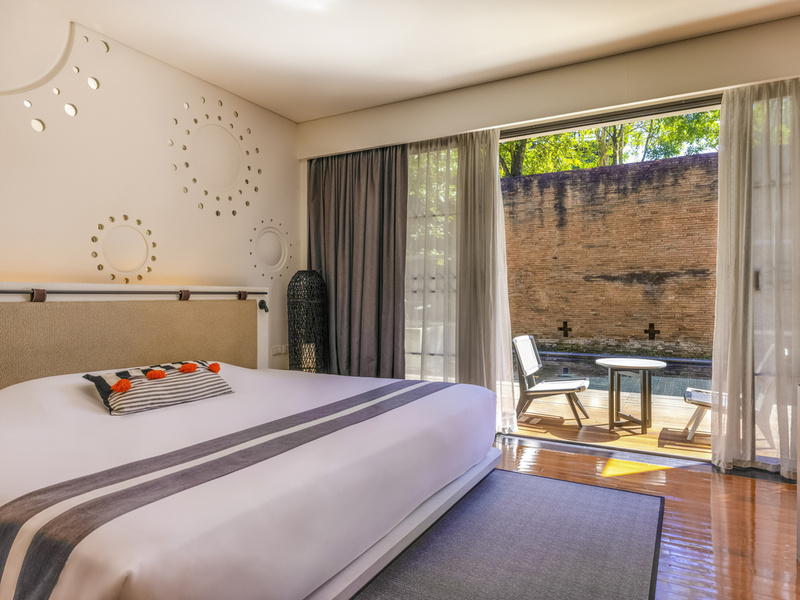 Rooms are facing a replica of the old fortress wall in Chiang Mai and a hidden pond. 43 m² plus 15 m² balcony, oversized king-size bed, bathroom with separate shower and tub, day bed and balcony. 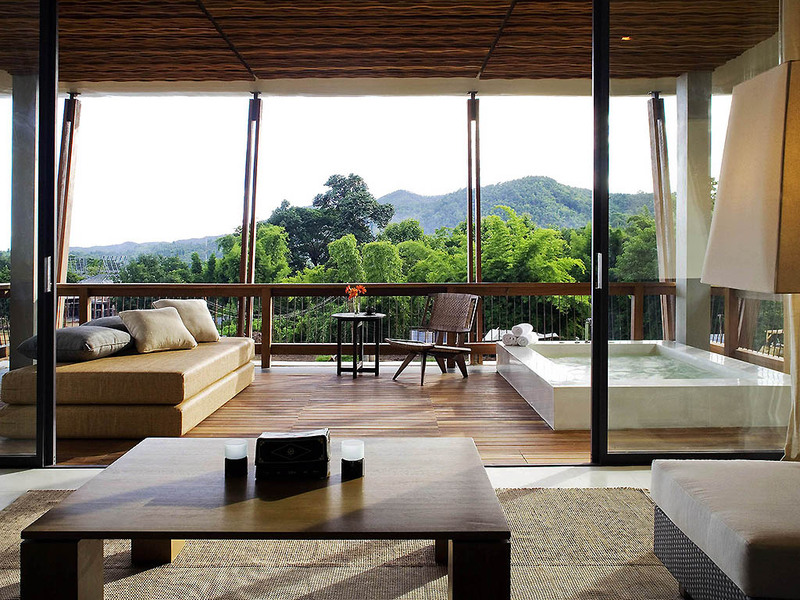 Rooms are overlooking the resort's garden with a breathtaking view of the tea and rice fields and the neighboring hills. 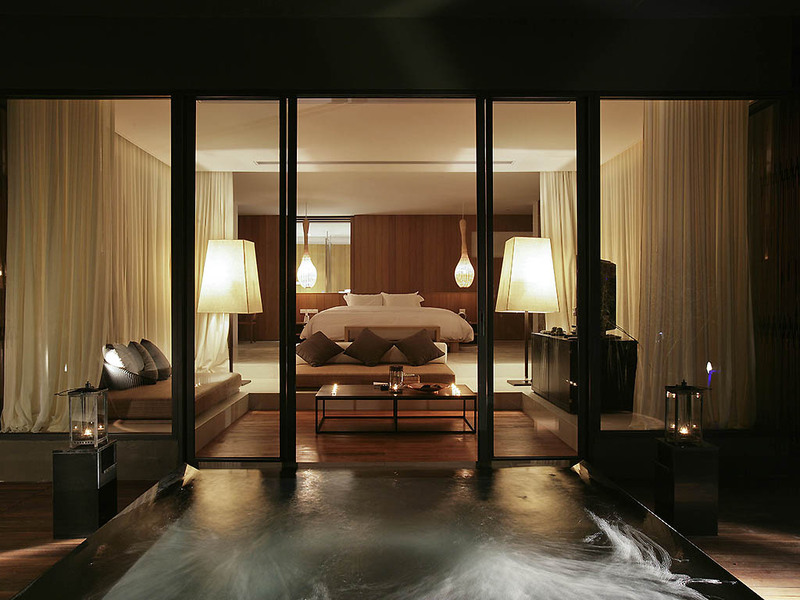 The 78 m² pavilion room and large open balcony with a private Jacuzzi is a place to relax. Oversized King Bed, daybed, separate rain shower, Thann amenities, 42" LCD, DVD, ipod-dock and free WiFi. 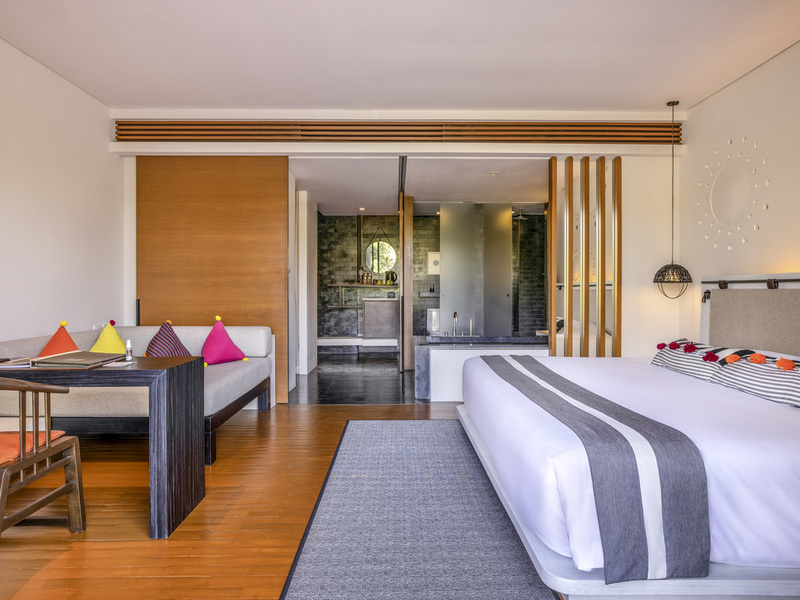 The rich simplicity of the 88 m² Plunge Pool Pavilions: private plunge pool overlooking the rice terrace, oversized King Bed, living area, separate rain shower, 42" LED, DVD, and free WiFi. Over the top life style of the 420 m². With 2 bedrooms, private study, living room area with dinning area, large swimming pool, outdoor Jacuzzi and terrace with sun beds. Select from either The Higher Room restaurant overlooking the resort to Rabiang-Chi serving delicious modern Thai cuisine, the infinity pool bar with cocktails and light snacks or private dining at a myriad of exotic locations throughout the resort. An ideal meeting destination for creative events and to deliver that extra inspiration to meetings. Naturally blending with the breathtaking surroundings with indoor and outdoor locations, the resort can cater for groups from 10 to 250 guests.